At the beginning of the movie, Ran has a dream of her mother, Eri, being shot. Ran later calls Eri and tells her of her dream. The scene then briefly changes to a scene of a jail, where a man named Jo Murakami holds out a notebook that says, "Beika City, Kogoro Mouri." The scene transitions again to the Detective Boys waiting on a bench for Professor Agasa. 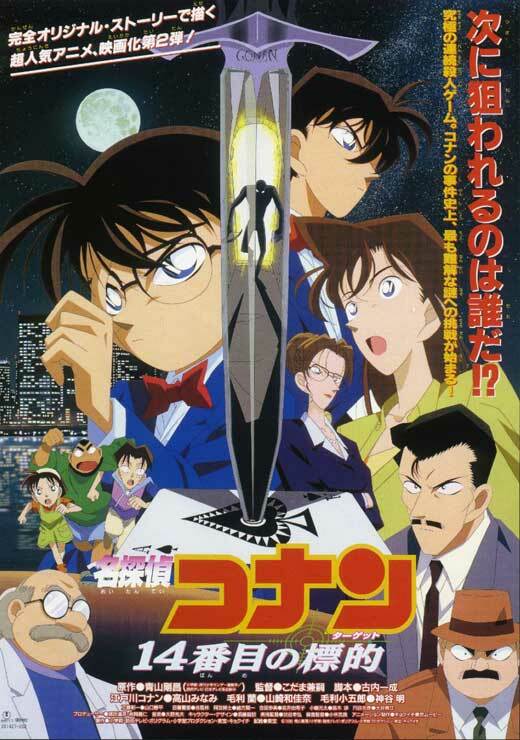 While waiting, Ayumi tries a love match, and the machine tells her Conan and Ayumi are a perfect match. She then tries Conan's fortune, which is "A chance for an A (kiss)"; when Conan hears this he wonders how old that machine is. Agasa then comes, and takes the Detective Boys to the Touto Aeronautic Memorial Museum. On display there, there are many kinds of helicopters and planes. While there, Agasa tries to give a quiz, only to be intercepted by Mitsuhiko. Mitsuhiko's quiz: Three guys, born on New Year's Day, April Fool's, and Children's Day formed a club. What was their club called? The answer: Tonakai (Reindeer). If you add up their birthdays, they become To-na-kai, a kind of gorowase. Once Conan answers the quiz, they see Shishido Eimei taking pictures around the museum. Back at the Mouri Detective Agency, Jo Murakami is shown knocking on the door. When he gets no answer, he leaves.